Beautiful photo, Linda. Thank you for a glimpse of your world, thousands of miles away from mine. I'm really starting to appreciate the texture in marshlands, those glimpses of blue in among the rushes that catch you by surprise. I drove my elderly dad to a loch near my childhood home the other day and he wondered why I was photographing the edges; he hadn't noticed the ducks swimming through sky. I so envy your discovery. I'm in Scotland, surrounded by glorious scenery, mountains, hills and fields, but the wee town I live in has no river running through or pond or loch to take kids to or stroll around, feeding bread to the ducks. There's a wee burn (small stream) on the far edge of the town, but when it gets interesting and bigger, it enters private land as do many of the streams and rivers around me. Thank you for this lovely reminder to stay open and notice things, and for inspiring me to go out walking with my husband tonight to appreciate what we do have on our doorstep. Janice, thank you for visiting. I am glad you enjoyed seeing the lake or at least what is left of it. It is a pretty place, nevertheless. I've visited some of the marshlands in the southern U.S. and there are an amazing number of things to see and hear if you just take a moment to look and listen. That's interesting about the lake. Oddly, we have a similar lake in our neighborhood. 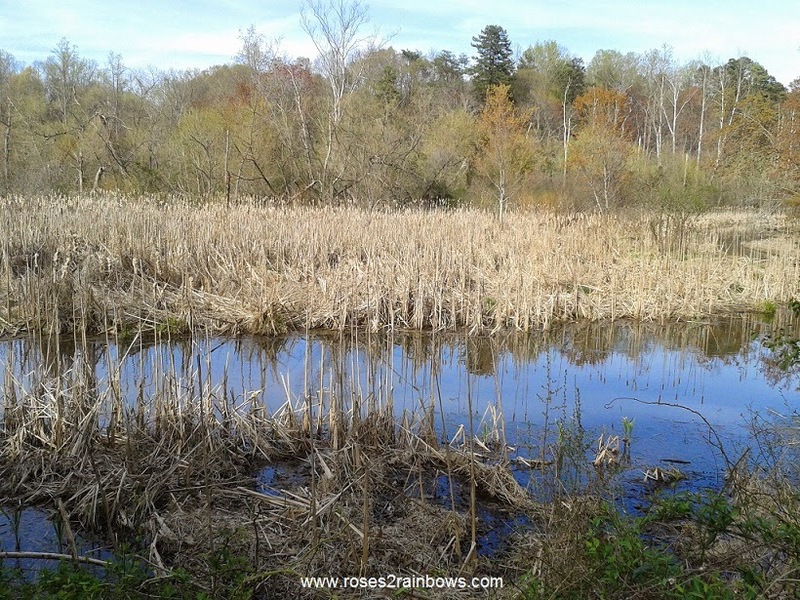 It's a wetlands, but will fills with water during heavy rains, like we've been having. It's fascinating to watch how it adjusts and different animal life on the water. We have ducks, geese and even a type of unusual salamander that emerge at certain times. Reynolda Gardens sounds like an interesting place to visit. Thanks for sharing about it. I hope all is well with you guys! Sorry to be late getting back here. We had a very full weekend and it started early. I love visiting wetlands, marshes, lakes, any body of water really. There are so many sights and sounds, yet peaceful at the same time. We are well...I need to email you soon. Lake Katherine.... actually spelled the way I spell mine! That is a gorgeous picture. I love getting that vitamin D! The latest cool find was by my daughter and her friend in Half Moon Bay... a seal flipper bone! That is indeed the most delightful way of getting vitamin D.